I'm always looking for a good volumizing and thickening shampoo and conditioner, but have always struggled to find one that actually says what it does. So many products claim to make your hair thicker or have hair like a runaway model has, but they always disappoint. 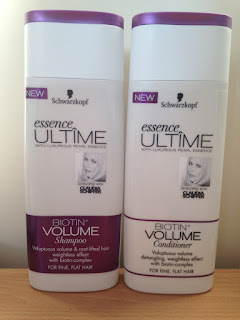 I was eager to try out Essence ULTÎME Biotin+Volume Shampoo and Conditioner, because I heard great things about it and it was developed with Claudia Schiffer. Developed with Claudia Schiffer, the essence ULTÎME range combines her beauty insights from catwalk shows and fashion shoots, with the hair expertise of Schwarzkopf to become the reference for truly beautiful hair. The unique gel formula with biotin-complex nourishes the root to create root stand up and provide up to 80% more volume and fullness with weightless effect. I hadn't really tried out many Schwarzkopf hair products before and I now have four, I go from one extreme to another... The average price of the shampoo and conditioner is £4.99, which isn't too bad and if you buy them in Superdrug you can get student discount which is a bonus. 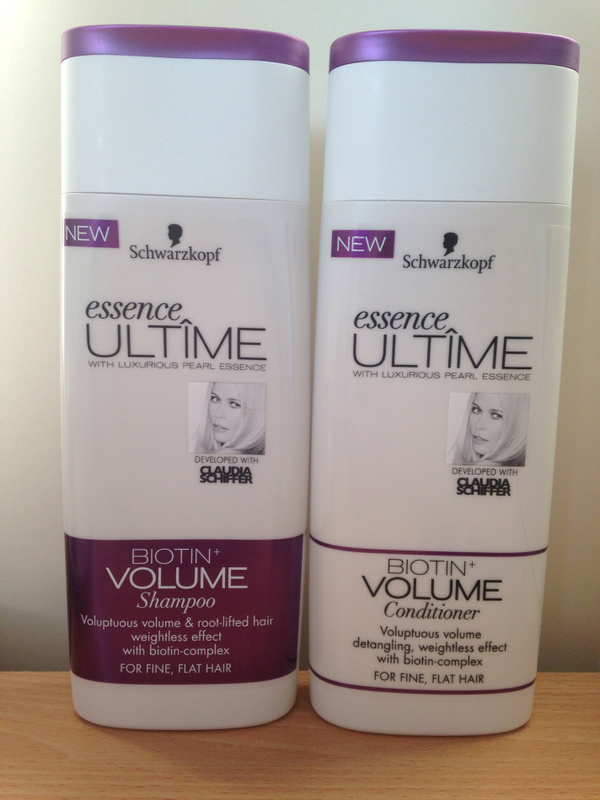 The Schwarzkopf shampoo and conditioner has an amazing fragrance and my hair smells fantastic afterwards!! When I'm out and about throughout the day I often get a whiff of the Schwarzkopf scent and I love it. When it comes to the volume, it does add a little bit but not overly much. I have been using it for about 3 weeks now maybe and my hair is slightly more volumized but not as much it says in the product details. I was a little bit disappointed by this as I was hoping to see a significant difference but it has only been a little one. I don't know if I would get this specific shampoo and conditioner again as it doesn't exactly do what it says on the bottle but it hasn't put my off using their other shampoos/conditioners. I want to try the repair set next and I will review their heat spray soon.